I really like this idea, but then I am an IT architect and we like to stand up and draw on walls (ok, whiteboards). A whiteboard would also work, but if you have kids, there may be times when you want to save anything they did. Or never mind kids: maybe your own doodle was keep sake worthy. By the way, you can get such paper dispensers at IKEA. Most people mount them on a table, but clearly the wall is an option too. 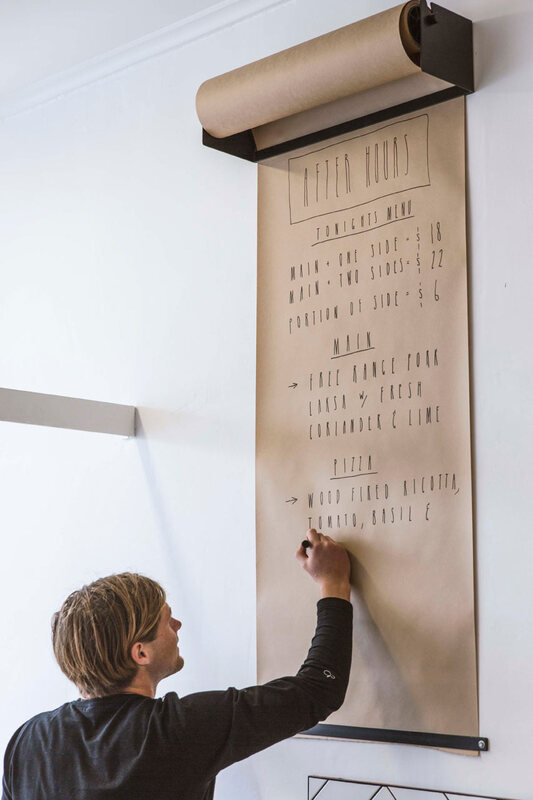 Wall-Mounted Kraft Paper Roll Dispenser – Design Milk. This entry was posted in advice, decor, design and tagged decor, design, designmilk, doodling, drawing, idea. Bookmark the permalink. I have just put up this wall-mounted paper roll (made with an IKEA wall bracket). Kids love it. (And so do I). $10 (vs this very lovely $240 version).